What if the rise in obesity was directly correlated with the rise in our modern distractions? After all, we are more distracted than ever. Never before in human history have we been eating with so many things competing for our attention. As a result, we are eating more calories than we could ever need. We can’t even eat a meal without checking our phone. Simply reconnecting with your food and eating without distraction can result in eating less food, while being MORE satisfied. For years, I’ve wanted to write about my own weight loss journey on this blog, but there were so many things holding me back. For one, I don’t like to talk about adult weight loss, on a platform for kids. It’s a struggle for me to balance my personal physical goals with parenting. I don’t ever want my kids to see me “obsess” about my weight, or have them misinterpret my weight loss efforts as being unsatisfied with my life. But the more I thought about it, the more I realized that the message of mindful eating needed to be shared. In fact, I’ve come to see how valuable it is for any child or adult, even if they don’t need to lose weight. 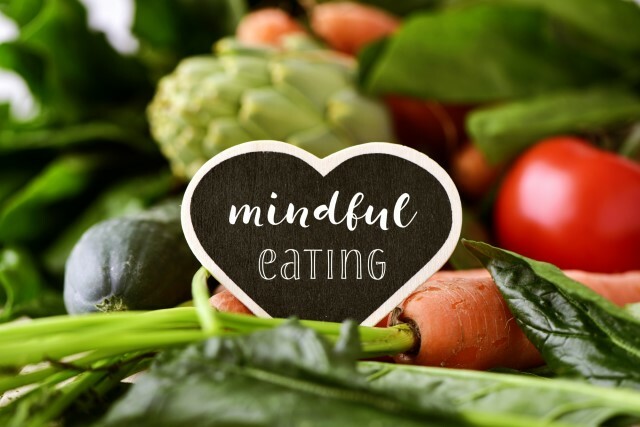 Practicing mindful eating can improve so many other areas of a persons life, and teach kids skills that will help them be healthier for the rest of their life. I’d love to have more conversations, articles, and resources here about mindful living in all areas, because it is a way to gain better health. Mindful eating is honoring that space between wanting a piece of food and eating it. It’s seeing your meal on your plate and then eating it with intention, being full present for the food. Mindful eating differs from intuitive eating for me. Intuitive eating asks of your body what it wants to eat, and what it needs. To which I’d always think, I need cookies! LOL. But mindful eating has been different. Instead it focuses on the practice of eating, or what you are doing while you are eating healthy food. I’ve outlined 6 steps that have been the most helpful to me to practice mindfulness at each meal. Establishing three periods of time during the day for intentional, purposeful eating. Do you remember when your parents or grandparents taught you to eat three times a day? And then the fitness “experts” came in, telling us we were destroying our metabolism and we should be eating 6 meals per day! And then that turned into eating ALL day. The fastest way to not be present with your food is to graze on food all day, and never sit down to a meal that has a beginning and an end. Creating a space during meals free of common distractions. (no phone, books, computer, magazine, TV, etc). This can be uncomfortable! I enjoy scrolling my social feeds while I eat breakfast. But putting away the devices and reading material is critical for eating mindfully. Chew slowly and experience each bite. If you are too busy to eat your food slowly, you are too busy. Put the food down, and wait until you have time to sit down and fully chew your food, even if you think you are starving. I’ve timed a lot of meals, and most meals, chewed slowly takes fewer than 10 minutes. Identify the tastes, flavors, and texture of each bite. This might be my favorite part! When really tasting your food, you will be surprised to find healthy food delicious and junk food less appealing than you thought. Complete eating each bite before you fill your fork again. It goes without saying, shoveling more food into your mouth before you’ve finished the last bite is not being mindful. Assess hunger mid-meal to see if you are full, almost full, or ready to stop. You don’t have to finish your meal, ever. This is where you listen to your body and let it decide if you’ve had enough. Take a deep breath midway through the meal. Determine if sufficient time has passed to send the hunger and satiety signals to your brain. Put your fork down, and take a large drink of water. Check in with your belly. What are you feeling? Are your pants getting tighter? Is the belly distended uncomfortably? Evaluate whether or not your meal becomes less satisfying as you continue to eat. It’s common for the first few bites, when we are the hungriest, to be the most pleasurable of the meal. As we get full, the pleasure diminishes. When the meal is no longer delivering the same pleasure, it’s a signal to our body that we may be close to finished. Identify distractions. Are you still paying attention to your meal, or has your mind wandered to other things? Are you allowing yourself to absorb other distractions in your environment that you may not have control over? Only when you are paying attention can you fully analyze if you are still hungry enough to finish your meal. I have 5 daily practices that helped me master personal mindfulness without expectations, worries, labeling, or judgment. To turn these 5 practices into habits, I recommend doing them every day. Make a plan – Decide your meal times at the beginning of the day. Move your body – Exercise daily. Meditation – Practice daily meditation and affirmations. Mindful journal – Write your thoughts daily in a journal. Mind focused on intention – Check in with yourself during the day to become more aware and present. CHALLENGE: Give me 40 days! By eating mindfully, I was able to lose “the last 10 lbs” in 40 days. I never thought I’d understand mindful eating because I don’t like slowing down. I was the opposite of what I considered mindful! But now that I have figured it out, I am finally free from food obsession. Long gone are the days I spent all day planning what I was going to eat and thinking about my next meal. Reading, listening to podcasts, and trying a new diet a month was wearing me out! Now, I truly feel like it’s easier to enjoy life! And as a bonus- I STILL LOVE FOOD, but now, food brings me pleasure, while effortlessly eating less and seeing weight loss results. 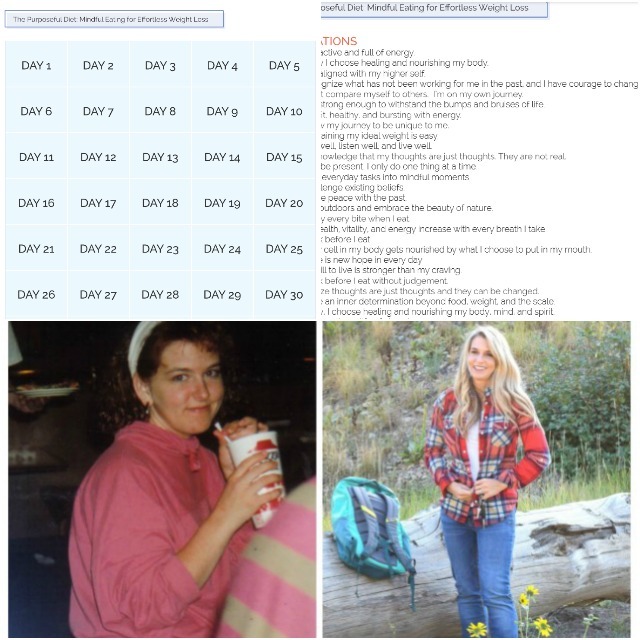 Click here to start the 40 day challenge! These books have been inspirational to me as I’ve learned to practice mindful eating. The Joy of Half a cookie Best one! 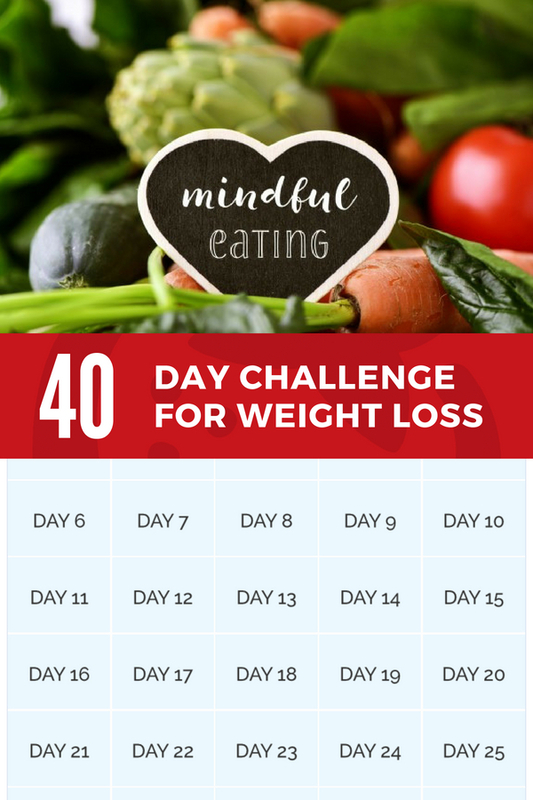 The post Mindful Eating for Weight Loss appeared first on Super Healthy Kids.